Oletilwe Mogashoa – Woman Empowerment is a Client Relationship Manager at Allan Gray Proprietary Limited. She possesses over 8 years experience in the financial industry and her corporate related work includes relationship management, financial investment education, client service, risk mitigation as well as financial and collateral management. Furthermore, she runs Owning It2, a company which is committed to providing mentorship and career development, as well as exposing disadvantaged students to various institutions that can provide aid in the form of bursaries, scholarships and student loans for university studies. Amongst her other accomplishments, Oletilwe has presented and been featured on numerous television shows, namely ‘Green Intentions’ on SABC International; a youth program on SABC 2 called ‘Hey SA’ and a youth talk show called ‘Sista-Hood’ on ETV. Lastly, she is currently the executive producer and host of an online TV Show called ‘Secrets to Success’ of which she founded. She is known amongst her peers as a pragmatic, astute and strategic individual. Oletilwe Mogashoa – Woman Empowerment is also the executive producer and presenter of a talk show called ‘Secrets to Success’. The show features Captains of Industry and Trailblazers who share their journey of how they climbed up the corporate ladder and established an empire. The show aims to get people from all works of life into one room that is graduates, young professionals, and senior executives to share their journey and impart their wisdom and guide the next generation who would like to follow in the same path. Oletilwe has presented numerous television shows such as; a youth program on SABC 2 called ‘Hey SA’; a youth talk show called ‘Sista-Hood’ on ETV and an environmental show called ‘Green Intensions’ on SABC International. “Someone is sitting in the shade because someone planted a tree a long time ago” by Warren Buffet. Secrets to Success is a talk show presented by the effervescent Oletilwe Mogashoa. The show features Captains of Industry and Trailblazers who share their journey of how they climbed up the corporate ladder and established an empire. The show aims to get people from all works of life into one room that is graduates, young professionals, and senior executives to share their journey and impart their wisdom and guide the next generation who would like to follow in the same path. In Secrets to Success, Oletilwe Mogashoa – Woman Empowerment aims to unpack relevant topics that people in corporate are facing in terms of climbing and navigating through the corporate jungle and assist entrepreneurs with access to information regarding acquiring funding for their businesses and necessary skills required to run a successful business. Oletilwe saw this necessary as she struggled and felt that she had no voice while navigating the corporate jungle. She was blessed to have a mentor who showed some great interest in helping her develop and realised that most individuals do not have access to a mentor and yet have the same struggles. I’m passionate about the advancement of African Women in senior leadership positions. 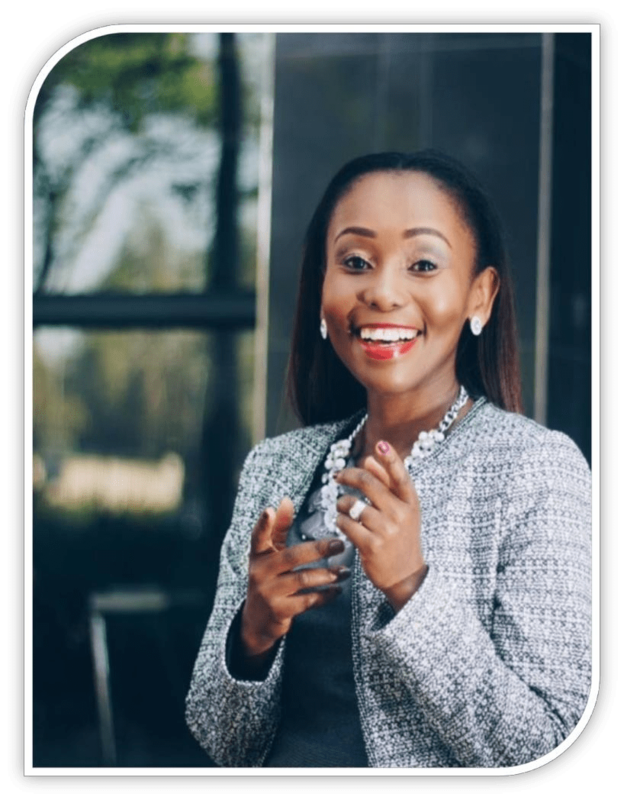 We interviewed Sindi-Mabaso Koyana CA(SA), the Executive Chairperson of AIH ( AWCA Investment Holdings) , a women owned and managed investment company. Oletilwe Mogashoa – Woman Empowerment is passionate about the empowerment of women, and has used her role as a champion of transformation to promote the careers of many women who now belong in SA’s executive ranks. She serves as Director of Eskom Holdings SOC Limited. Ms. Mabaso-Koyana founded African Women Chartered Accountants.